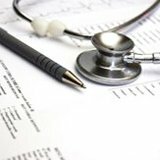 What is timely filing, and how does it affect the job of a medical biller? One of the many things that a good medical biller has to keep track of is the timely manner in which his or her claims are being sent to insurance companies. In other words, a good medical biller has to make sure that all claims are sent within a specified time frame. This time frame is referred to as timely filing. It's set by each individual insurance company to which you send claims. This means that if insurance company ABC says that that their timely filing limit is 90 days, you have to make sure that you send all of your claims to them within 90 days of the date of service. For example, if the patient was seen on January 1st, then you have to send the claim to the insurance company, ABC, within 90 days of January 1st (before the end of March). What happens if you don't send claims out within the timely filing limit? Unfortunately, if you don't get your claims to the insurance company within the specified timely filing limit, they will be denied - there isn't anything you can do about it! Because the contract that your provider has with the insurance company states that they are not responsible for any claims that they receive after the timely filing limit, claims that were not sent in time are denied and must be written off. They cannot be billed to the patient or appealed to the insurance company. Why are there timely filing limits? It might seem strange that there are time frames put on when you need to send claims, and unfair that claims that are denied for timely filing will never get paid. But placing timely filing limits on claims ensures that all claims are sent as soon as possible, making it easier for doctors to receive their money, and for insurance companies to process claims in a timely manner. It's important to keep in mind that timely filing limits vary from insurance company to insurance company. This means that the timely filing limit for insurance company ABC might be 90 days, whereas the timely filing limit for insurance company EFG is 6 months. Typically, timely filing limits are no less than 90 days at the minimum. But they can range, depending on the insurance company, to 15 months or more. How does timely filing affect your job? 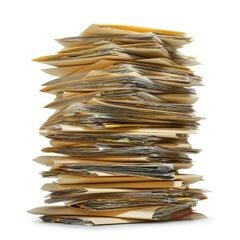 It may also seem like timely filing limits aren't really a big deal. You may be telling yourself that of course all claims will go out right after the patient is seen and the claim is entered into the system. Why wouldn't they be? For the most part claims are entered right after the patient is seen by the provider. These claims go out either daily, every other day, or weekly. This means that there's a constant stream of claims going from the doctor's office to insurance companies. Sometimes claims get sent to the wrong insurance company, they are denied, or they are simply lost in your electronic database. One of the most important is to make sure that all of these claims go out correctly and to the right insurance companies. Medical billers also have to keep track of the ages of their claims, usually using electronically generated accounts receivable (A/R) reports which show how old certain balances are. Another important responsibility of medical billers is to check their electronic claims to make sure they are being received by the insurance companies. If the medical biller fails to complete any of these jobs within the timely filing limit, then the claims will be denied! How do you keep track of timely filing? Keeping track of timely filing can be difficult, which is why there are many tricks and tools that can help you make sure that all your claims are going out in a timely fashion. The first of these is to make sure that your claims are being sent correctly to the right insurance company the first time. This includes having a method in place of verifying the patient's insurance coverage each time they come in to your office. If you make sure you're sending the claim to the right insurance company in the first place, you can prevent many headaches in the future! Also, when you send claims, there's usually an electronic report generated by your practice management software which lists all of the claims that were sent as well as what day they were sent on. You can use these reports in the future if your claims were incorrectly denied for timely filing. Another great tool is your electronic claims clearinghouse. If you send claims electronically, they go through a clearinghouse, which checks to make sure there are no major errors on your claims, such as invalid procedure or diagnosis codes. If there are errors on the claim then it won't get sent to the insurance company. This means you have to check your clearinghouse for rejected claims very regularly to make sure that all the claims you sent were actually sent to the insurance companies, and to correct any errors on your claims. And finally, probably one of the most important ways to keep track of your claims, as well as other outstanding balances in your practice, is by keeping a close eye on your accounts receivable (A/R) reports. Your A/R reports show you what balances are still pending - which means they still need to be paid. Click for our guide to accounts receivable management. Most practice management systems allow you to specify the types of balances on A/R reports, such as pending insurance or patient balances. This makes it easier to see if there's a large chunk of claims that are still outstanding. If there are, you need to make sure that these claims go out to the insurance company ASAP, to make sure they aren't denied for timely filing. Keeping track of your claims is only one of the many jobs of the medical biller, but it is one of the most important. The main reason you are a medical biller is to make sure that claims are paid. One of the easiest and most efficient ways to make sure this happens is by making sure all claims go out and are paid in a timely manner. This page explains how to appeal a claim that was denied because of timely filing, and includes an example appeals letter.